You can find The Dialed Podcast on iTunes, Google Play, Stitcher, and more of your favorite podcast mediums! You’ll always find our weekly podcasts posted here as well. As always, feedback and comments are VERY welcome. Thanks you for listening! 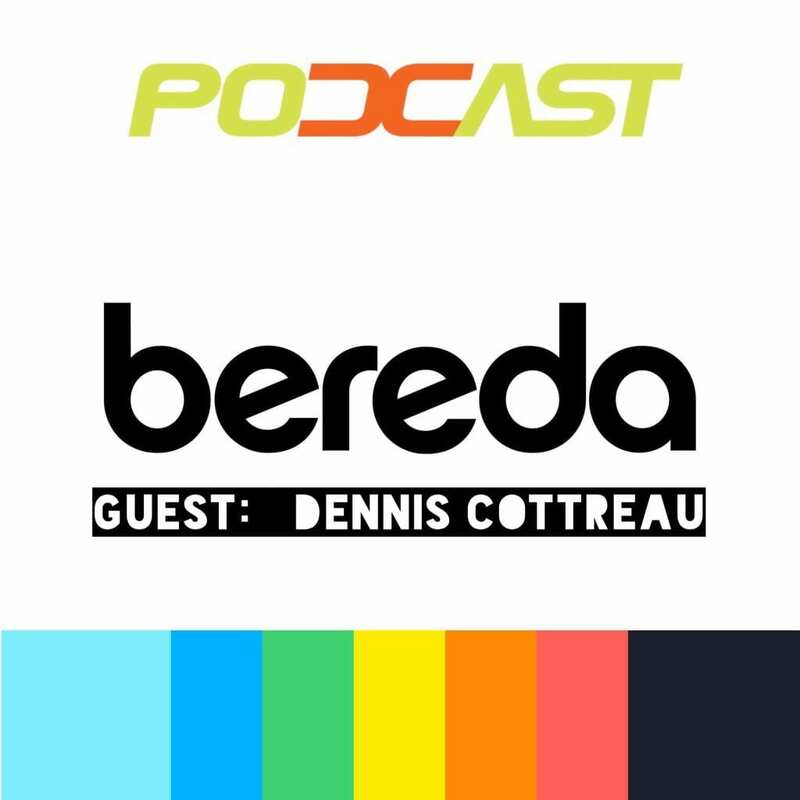 Dennis Cottreau from Bereda Training joins us to discuss Bereda’s new messaging platform for endurance sports. We also run through how Bereda can help the cycling and triathlon communities. Enjoy and thanks for listening! The ONE YEAR ANNIVERSARY show! We run through our backpedal, which includes a recap the year that was, and share some potentially controversial opinions on doping, IM’s zipper rule, training, and riding without glasses. Thanks for listening! The Hot Seat is back! We cover race podium predictions, what not to do before a race, new goals for the season, things that are cliché, and potential new race formats. Enjoy this, the backpedal, and more! We cover our top 10 reasons to compete, discuss junior development, and we run through our weekly backpedal. Enjoy our little podcast! 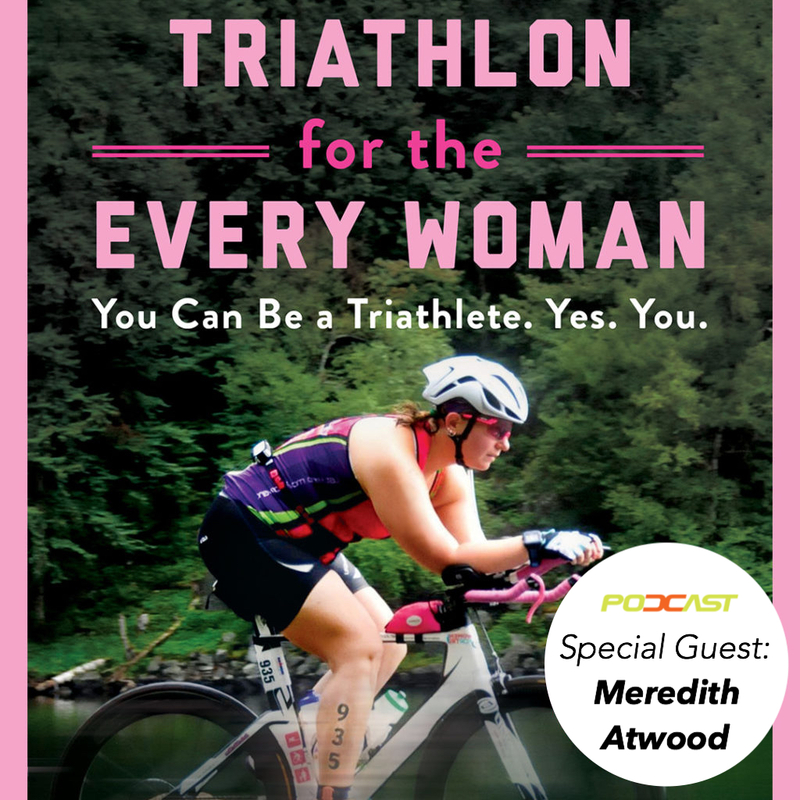 joins us today to talk about her book, “Triathlon for the Every Woman”. We also discuss getting more women involved in cycling & triathlon, juniors, and a bunch of other great stuff. Enjoy! Special Bonus Episode Alert! We run through a bunch of tips and strategies for time trialing, discuss the difference between the traditional time trial class and the Eddy class, and we place a few wagers on our own upcoming TT. Enjoy! We run through some items that we are curious about… Things like 1x drivetrains, dropper seat posts, recovery monitoring devices, autonomous vehicles, and the upcoming race season. We also wrap up our recent training camp and more. Enjoy! Our training camp podcast… We discuss our week thus far, some of the shenanigans that have gone down, and introduce you to a few teammates. Enjoy! What’s the deal with Training Camps and should you be planning one? Also, what are we doing for Valentines day? We also run through our weekly backpedal, update the weight loss challenge, and more. Enjoy! Recovery! We discuss everything recovery: Recovery Blocks, Nutrition, Over-Training, Sleep, Supplements, and more. We also run through our weekly backpedal, update the weight loss challenge, and more. Enjoy! Gravel bikes, rim brakes, the One-Hour Record, Race Medals, and tubeless tires… which of these should go away and which should be mainstream? Listen and find out! We discuss how we deal with our struggles and emotions: How this affects our training, life in general, racing, motivation, etc. Per usual, we will back pedal for you, and get you an update on the weight loss challenge (or was it weight gain challenge?). Have a listen and enjoy! We discuss the different types of cyclists… what kind are you? Sprinter, Climber, Time Trialist, Domestique, Puncheur, All-rounder? We also run through another backpedal and update the weight loss challenge (or is it the weight gain challenge? )… Have a listen and enjoy! The guys all bring a “How to” topic to the table… Sharpening your intensity, swimming, flat tire changing basics, and getting started in racing. We give you an update on our race to lose 10lbs, run through the Backpedal, and more. Oh yeah, this was our first live-streamed show! Check the Dialed Podcast YouTube channel for a replay and to see future scheduled shows… Enjoy! We talk about our goals, why we chose them, and if they are important. In another edition of the Hot Seat, we touch on things we will do different in 2019, hours per week spent training, what will make us better athletes, and what we carry with us on our rides. Enjoy the show! The Christmas Quickie… Just a couple of quick thoughts from the Dialed Podcast. We hope you had a great Christmas and Holiday Season, enjoy! The Evanisode! Evan runs the show on podcast #42! We discuss what our training and periodization will look like as we set our eyes on the 2019 season, and we discuss some tips and tricks for flying with your bike. Enjoy! The Romancisode! Lance jumps in the driver’s seat while playing the part of chief editor for this podcast – enjoy! We welcome back our regular guest and Zwift guru, Justin Wagner, to discuss the new Zwift updates. We also run through of our favorite cycling movies that you can watch while knocking out some rides in your pain cave. We also run through another batch of errors and omissions in our “Regroup”, so press play and have a listen! The Mattisode! Matt plays quarterback and chief editor for this podcast – enjoy! We cover what data screens we use on our bike computers (and why), and we dive into the Strava End of Year Statistics. We also cover some pretty cool Backpedals, so have a listen! Top 10 tips for cycling and training during the winter, our 2018 Christmas wishlist, and, per usual, we will crank through another edition of the Backpedal and plenty more…. Enjoy! How to get your workouts done over the holidays, The Hot Seat is back with topics such as how much weight you’ll gain over the holidays, weight training, and a few other fun items. Per Usual, we will crank through another edition of the Backpedal and plenty more…. Enjoy! 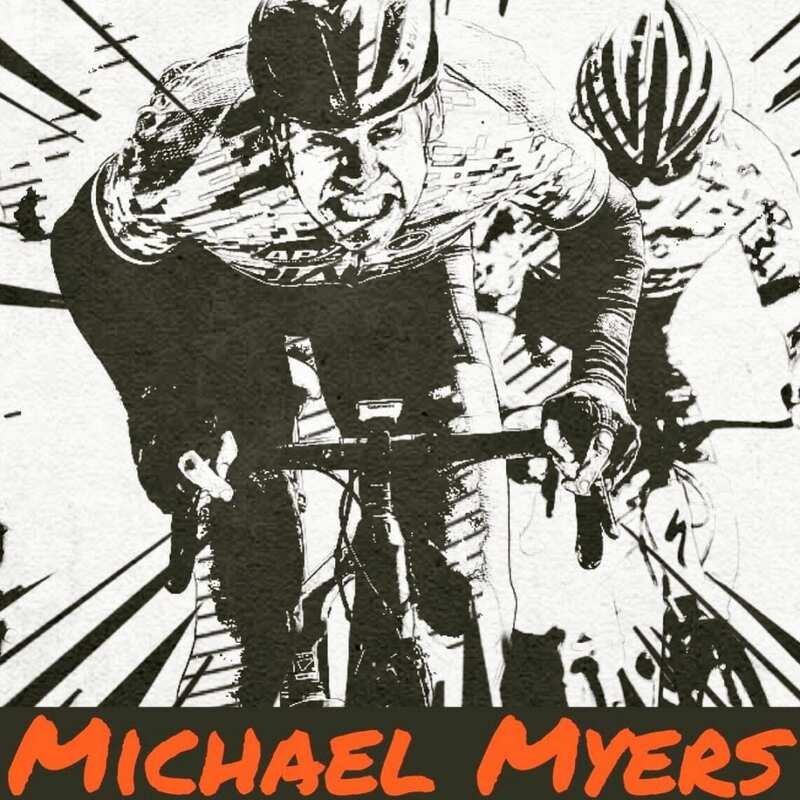 Remembering our friend and teammate, Michael Myers. Activity Tracking with Strava, Garmin, and Find My Friends while running and riding. Cycling safety, a quick backpedal, and more. 101 Benefits of Cycling – We discuss them all, well, maybe not all of them! Will crank through another edition of the Backpedal like we do, and more…. Enjoy! Top 10… check that… Top 12 FEARS about Cycling and Triathlon, the guys share some stories about when they were SPOOKED on a ride, run, or swim, and we will spin through another edition of the Backpedal (but you already knew that) and more…. Enjoy! 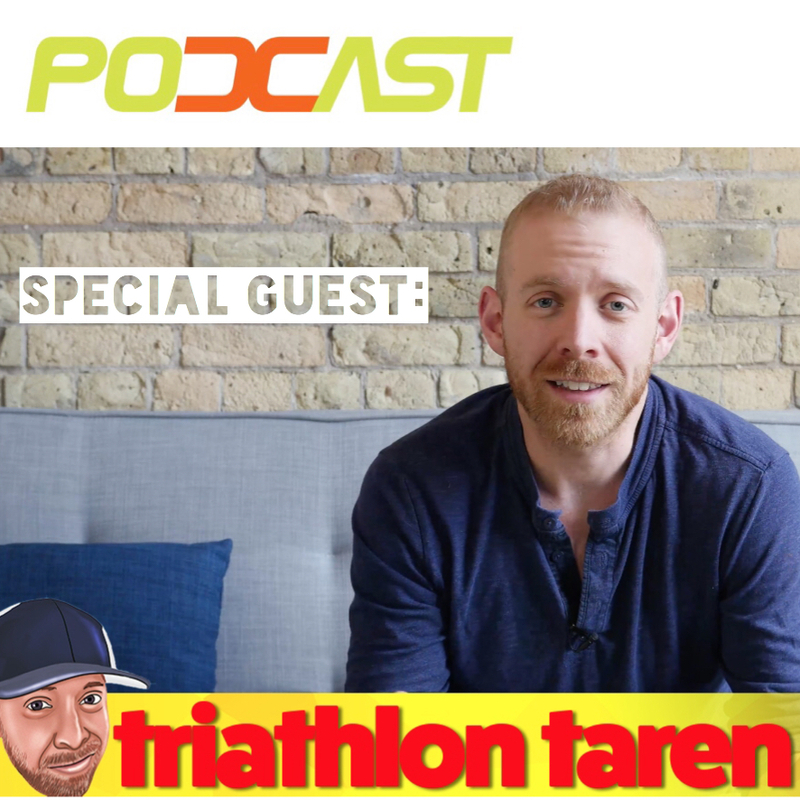 We run through the Overland Triathlon video Matt helped shoot, the HOT SEAT questions are back, and per usual, we will spin through another edition of the Backpedal and more…. Enjoy! 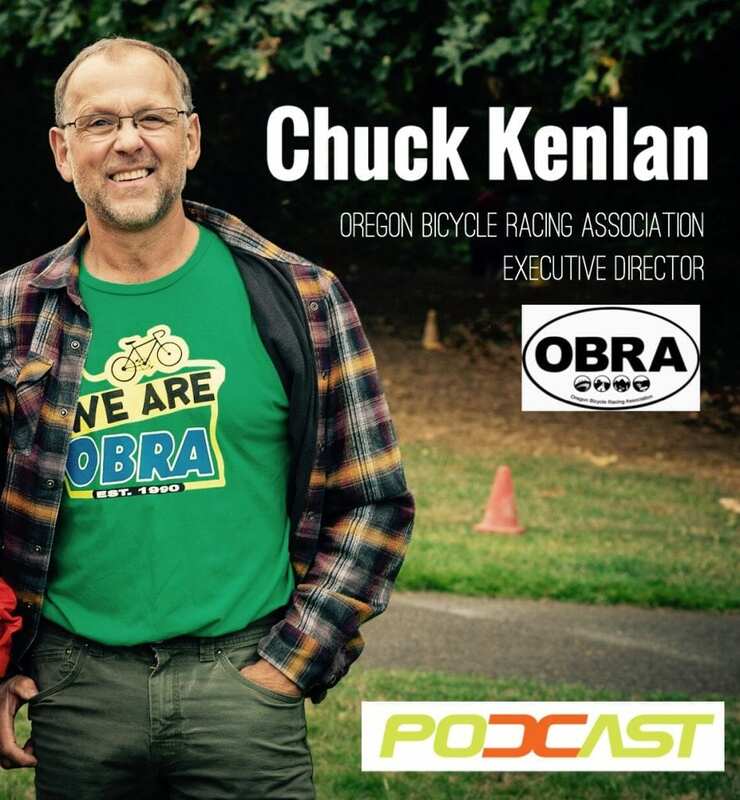 On this episode, we interview Oregon Bicycle Racing Association’s Executive Director, Chuck Kenlan. We discuss the North American Bicycle Racing Association (NABRA), OBRA, the state of road bike racing, and much more…. Enjoy! Matt and Evan stage a triathlon takeover and do a full 2018 Kona Ironman breakdown, which includes some of their predictions. Enjoy! The interview with ex-professional triathlete and Ironman commentator, Matt Lieto. Enjoy! 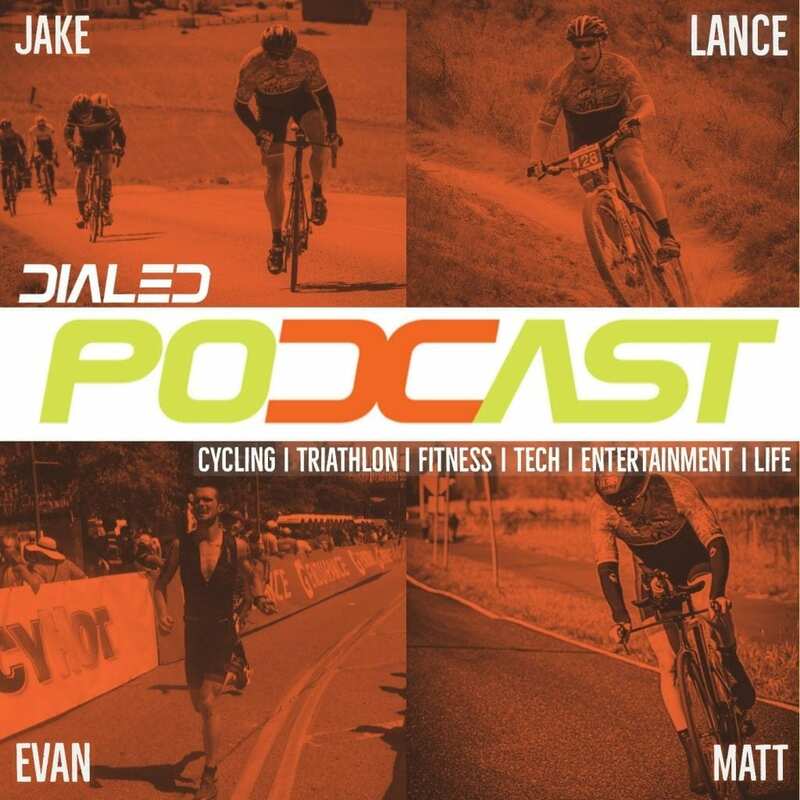 Funny cycling and triathlon stories, new tech that we like right now, Lance and Evan get called out on the “Regroup”, and as usual, we will spin through another edition of the Backpedal and more…. Enjoy! The wicked problem road racing faces, the Hot Seat returns with topics like Kona, go to music, winter gear, and stuff you will master this winter, As usual, we will spin through another edition of the Backpedal and more…. Enjoy! Bad Stuff in cycling and triathlon, S*** cyclists and triathletes say, and we spin through another edition of the Backpedal…. Enjoy! Justin Wagner from Team ODZ joins us again as we help you get ready for winter training, we hit another installment of “GOOD STUFF”, and we spin through another edition of the Backpedal. Enjoy! The Rebecca Rusch interview – Rebecca’s Private Idaho, Rebecca Rusch’s charities, and Women’s racing. Sweet! Bike handling skills, do you have them? In another edition of the Hot Seat, we cover future guests, other sports, Lance’s win streak, and Movies. We spin through another edition of the Backpedal, and more! Why you should join a Team or Club, our new “Good Stuff” segment, Lance on Location for Rebecca’s Private Idaho, another edition of the Backpedal, and more! Our new “Regroup” segment, building and starting a training program, 5-minute Cross talk – pre-race rituals, Hot Seat questions from our special guest Brandee Heppler!, another edition of the Backpedal, and more! Cyclocross, cyclocross, cyclocross!, Hot Seat questions about: the “Vuelta”, “famous people we’ve ridden with”, “difference between Dura Ace, Ulterga and 105 groupsets”, and “do people really want to see the Dialed Podcast streamed”, Another edition of the Backpedal, and more! Tips, tricks, hacks, and insight for the Newbie/Rookie Cyclist & Triathlete, Hot Seat questions about: training, shaving, 1x drivetrains, and the Dialed Podcast, another edition of the Backpedal, and more! Justin Wagner joins us again as we discuss how we can support and give back to the cycling and triathlon communities, Hot Seat questions about etiquette, coaching, CAT6 tattoos, and shifting, another edition of the Backpedal, and more! We dive into some cycling quotes we like, our closing thoughts on the TdF, the weekly Backpedal, a new little gem for you to love and cherish, and more! We jump into some discussion on injury prevention, more “Hot Seat” questions, our weekly Backpedal, and more! Top 10 tips to avoid looking like a rookie, our “Hot Seat” questions return, our weekly Backpedal, and more! We discuss women’s cycling with special guest cyclist, Kim Kathrein, we talk shop about bike fits, our Backpedal, and more! A bunch of Q&A during the “Hot Seat”, some TdF talk, our Backpedal, and more! How we got into cycling & how we can get more juniors/kids on bikes, things we DON’T need in cycling, our Backpedal, and more! Some our our favorite little cycling hacks, top 10 trends in cycling in 2018, and more! Listener requested topic: Our pre-race rituals for “A” races, some tech we like, and a give away!… Plus, “One Last Thing”, the “Backpedal”, and more! Keeping balance in our lives, and what’s on our wishlists. Plus, “One Last Thing…”, the “Backpedal”, and more! Staying Consistent, epic rides we’ve done and epic rides on our bucket list, and special guest Steve Remy from RedTruck.com hangs out with us. Plus, “One Last Thing…”, the “Backpedal”, and more! Recovery, Velominati: our favorite and least favorite cycling rules, and Special Guest Justin Wagner from Team ODZ hangs out with us to talk shop and share more about the Liberty Road Race. Plus, “One Last Thing…”, the “Backpedal”, and more! Etiquette, diets, and tips of the day from Lance, Matt, Evan, and Jake. Plus, “One Last Thing…”, the “Backpedal”, and more! 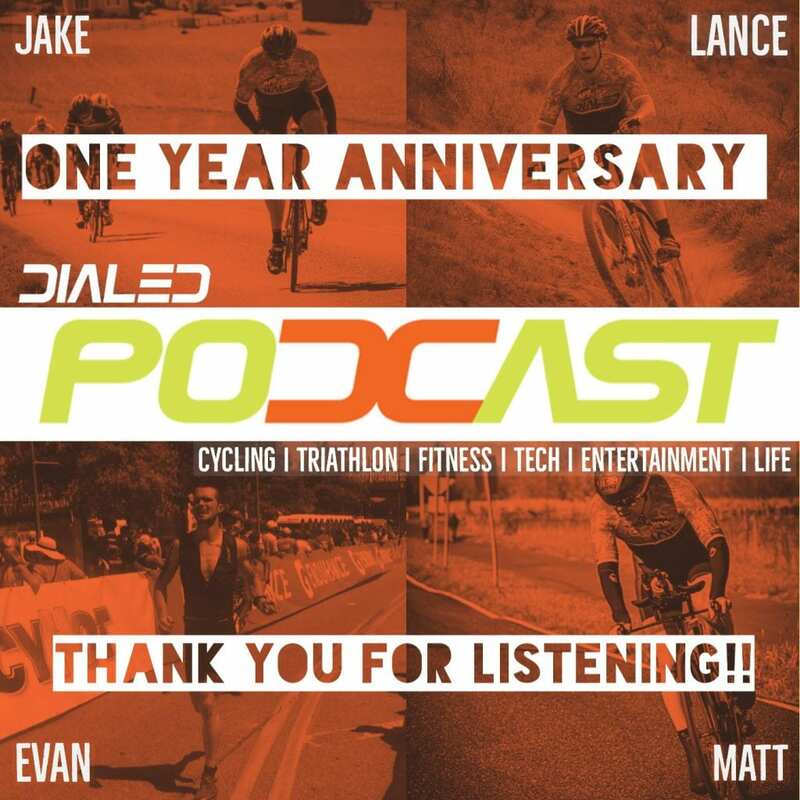 Meet Jake, Matt, and Evan as we introduce you to the Dialed Podcast. We cover all things cycling, triathlon, training, fitness, nutrition, racing, entertainment, tech, life, and fun. Enjoy! Errors, omissions, and fact check... Call us out!